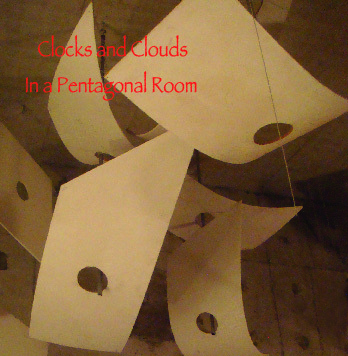 Clocks and Clouds is comprised of core players and composers Kraig Grady and Terumi Narushima. 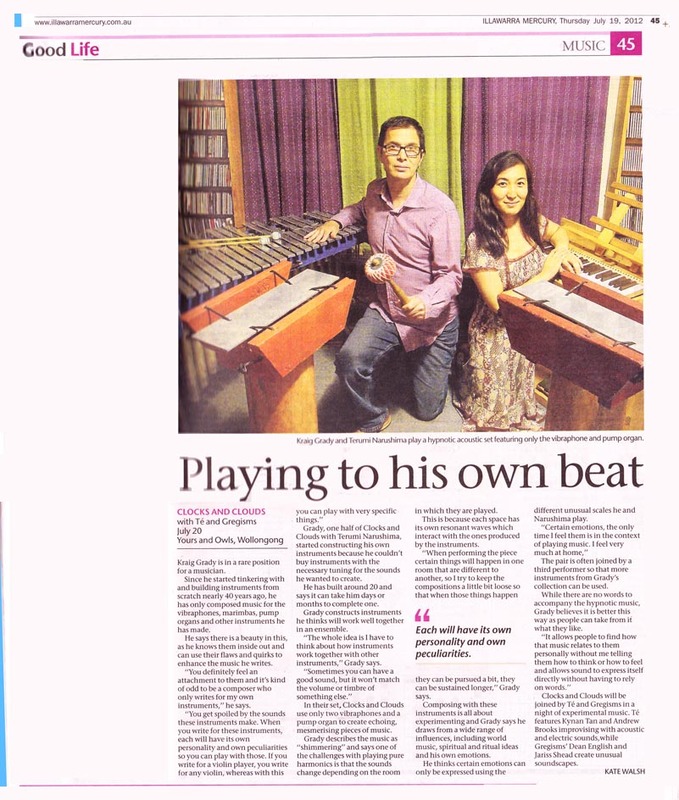 Their totally acoustic performances feature specially retuned vibraphone and pump organ. Often they are joined by like-minded musicians to include other instruments of their ensemble, such as the Mesotonal (meaning ‘between tones’) Marimba and thundering bass Meru Bars. These unique instruments - with a pure 151 limit harmonic tuning - explore the beauty of room resonances via ancient sacred scales and multi-dimensional geometries. It is not uncommon for an audience to experience the sensation of harmonics sweeping through space due to the way in which sound waves from the instruments interact with the environment. The samples here provide only an idea of what is best experienced live.